Quit Dieting! It’s Not Serving You. Inside of this guide you’ll find 5 easy tips and actionable steps on making peace with food. You’ll learn how to shift your focus away from food and body. How to nourish your body and care for it without restriction. How to tune into what your body really needs. Why diets don’t work and how you can truly let go. No fuss. No muss. 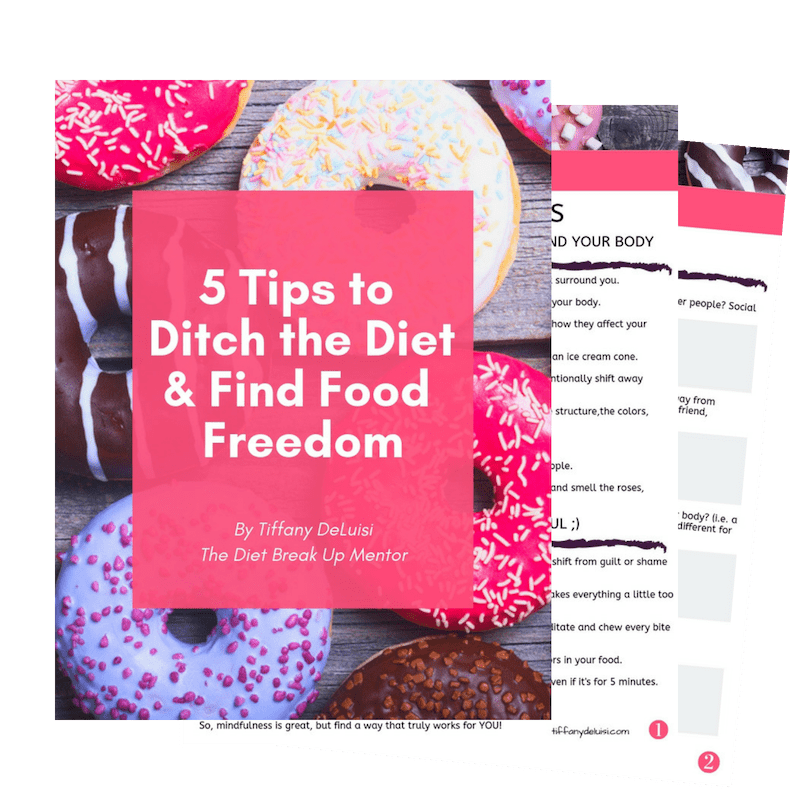 Just 5 Tips and 5 Action Steps to help you Ditch the Diet & Transform Your Relationship with Food….